The frontier for today’s photographer’s work flow is mobile. Camera-equipped mobile devices have revolutionised the way we capture and consume images. Frustratingly, for more serious photographers, powerful large format cameras don’t live up to the convenience and seamlessness of snapping with a smartphone — all too often requiring a cable and computer to get at their latest images. In today’s fast-paced, interconnected world, amateurs and professionals alike want the ability to move seamlessly from shooting to editing to sharing their work with colleagues, collaborators and audiences near and far. Leica Camera has a proud history of making photography on-the-move easier. Pushing the boundaries of design and technology, while grounded in the mind of the photographers, they create a sense of theatre and emotional connection rarely seen in their competitors bringing together the technicality of photography seamlessly with passion for creativity. 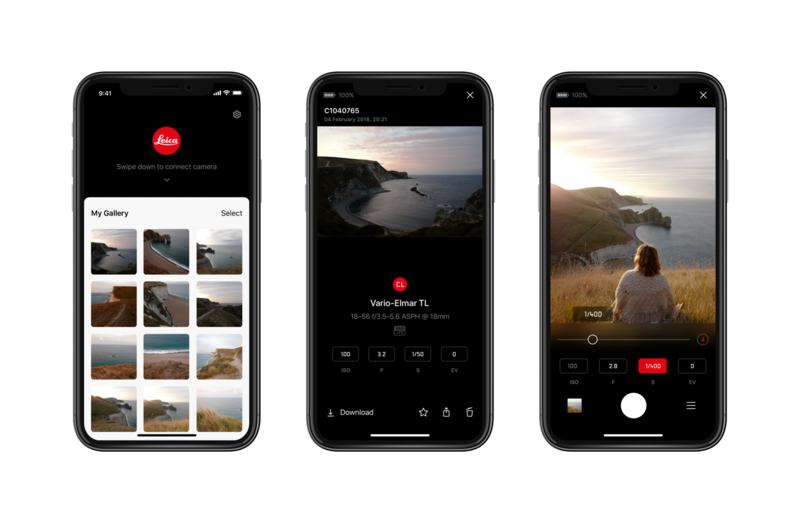 Recognising the needs of modern photographers to complete their workflow on mobile, Leica started on a journey to create a single connectivity platform for their entire range of cameras and a single unified app experience. The new solution would connect 9 camera systems built on multiple firmware versions, via Wi-Fi and Bluetooth protocols through a single SDK and delivered on iOS and Android. 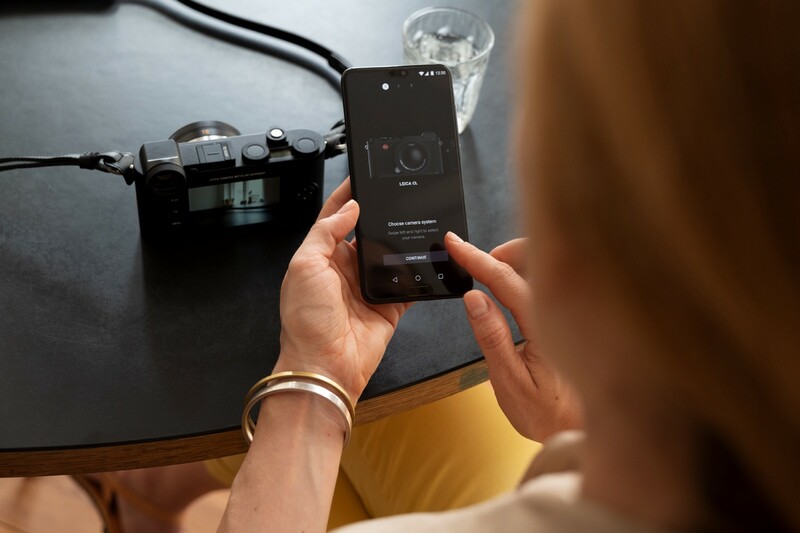 Additional complexity came from firmware platforms changing to support the new connected experience, SDK changing to enable the user experience, and iOS and Android evolving their own APIs (not even going into lens-specific functionality or auto-focus modes). We at Little Voice pride ourselves on unraveling the wicked complexity of connected devices and services and it was a natural partnership for us to work with Leica. Building on our previous experience designing connected experiences for Nokia Lumia and Sony, we understood the full depth and complexity of the problem. Our approach was to bring the ethos of Leica design into the digital age. 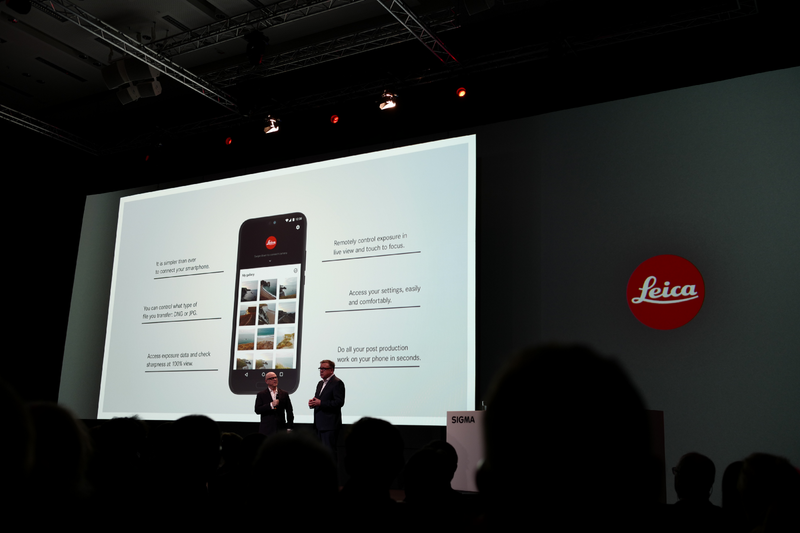 The design of the app celebrates Leica’s iconic, pure design styling and attention to detail. On opening the app, users are invited to select their Leica camera model from a visual menu — each of the brands digital camera systems rendered in all their glory. 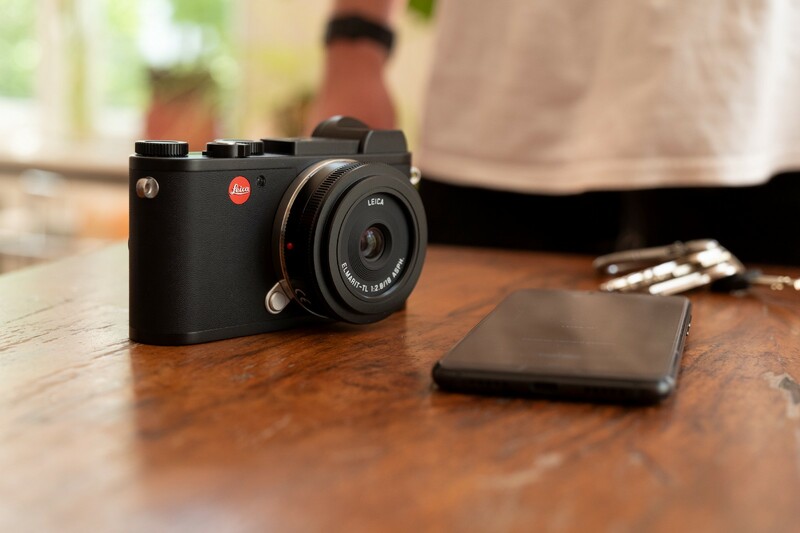 Leica cameras are renowned for commitment to the essence of photography and we brought that commitment into the app. 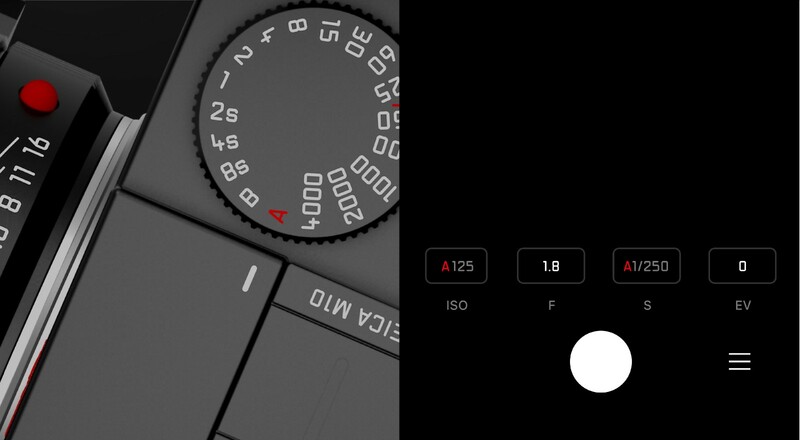 The app subtly references the design features of Leica cameras throughout — from sparing additions of the distinctive red accents, to the occasional cameos of the font seen on the brand’s lens dials. 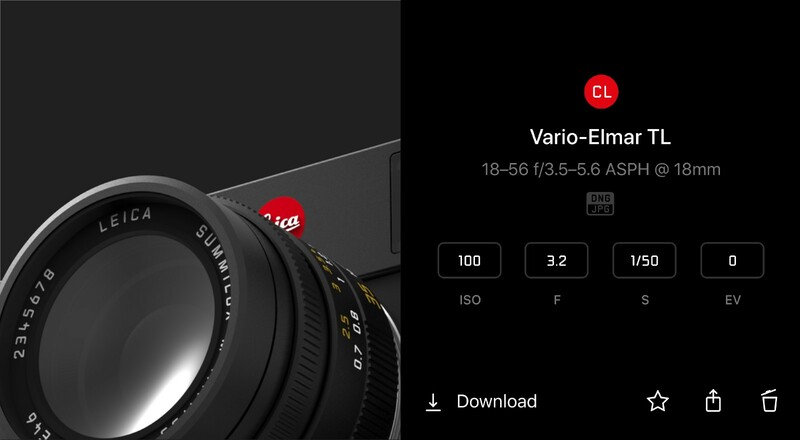 With a restraint reminiscent of Leica’s industrial design commitment to ‘DasWesentliche‘ (TheEssentials), the design of the app focusses on clarity and usability. 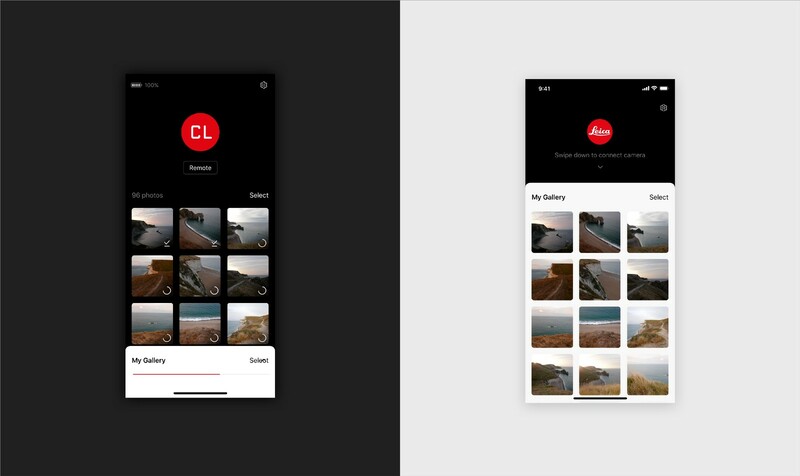 Having uncovered confusion with photo gallery apps in the design discovery phase — camera users were often not sure whether photos they were viewing on their phone were located on their camera, in their phone or in the cloud — we developed an elegant, high-contrast solution. The monochrome theme of the app design pays homage to both the classic colour-way of the cameras and the historical relationship of the brand with black and white photography. The palette also acts as a clever UI design device. Referencing Leica cameras’ iconic black body, the black background contains photos that are on the camera. The white card contains the photos downloaded to the mobile device. With a high profile launch at the Photokina 2018 show, the entire team from both Leica Camera and Little Voice have been really enthusiastic to see the response from photographers and the industry press. Design is never finished and we continue to listen to users and evolve an experience that is truly relevant for photographers.